London: Scientists were successful in identifying a group of exoplanets outside our solar system, where the same chemical conditions are available that may have led to life on Earth. 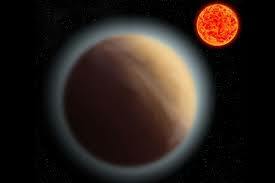 The opportunity for life to appear on the surface of a rocky planet like Earth are directly connected to the type and strength of light given off by its host star. The study was published in the journal Science Advances, in which it proposes that stars which can give off sufficient ultraviolet (UV) light could help in the beginning of life on their orbiting planets in such a way that is similar to how it developed on Earth. The UV light helps in powering a series of chemical reactions that produce the basis of life on Earth. The newly identified range of planets have got UV light from their host star which is sufficient to allow the chemical reactions to occur and that too lie within the habitable range where water in liquid form can exist on the planet’s surface, the researchers said. “This work allows us to narrow down the best places to search for life,” said lead author Paul Rimmer, postdoctoral researcher at the University of Cambridge. 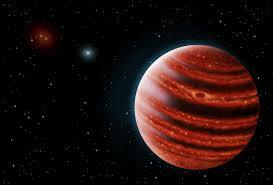 “It brings us just a little bit closer to addressing the question of whether we are alone in the universe,” he added. The team working on the project performed a series of laboratory experiments to measure how quickly the building blocks supporting life can be formed from hydrogen cyanide and hydrogen sulphite ions in the presence of water when exposed to UV light. While the experiment conducted under the lights resulted in the necessary building basis but the same experiment in dark resulted in an inert compound which could not be used to form the building blocks of any life. The researchers then were able to compare the light chemistry to the dark chemistry against the UV light of different stars. They at last found that stars which have got the same temperature as our sun emitted enough light for the building blocks of life to have formed on the surfaces of their planets. Stars which are cool, on the other hand, do not produce any kind of enough light for all these building blocks to be formed, except if they have frequent powerful solar flares to jolt the chemistry forward step by step. Those planets which receive enough light to activate the chemistry and could have got liquid water on their surfaces reside in what the researchers have called the abiogenesis zone.